This executive home is a must see! 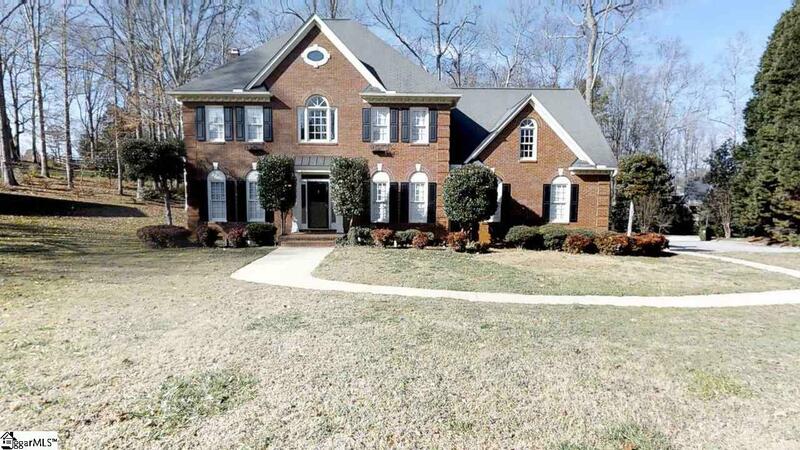 This 3+ bedroom/2.5 bath home has hardwoods and ceramic tile downstairs and carpet upstairs. The Great Room and Kitchen flow together. From the warm glow of the logs in the marble faced fireplace to the granite counters and recent stainless steel appliances and island in the kitchen, you will find the heart of this home. The heated and cooled sun room off the Great Room is a welcome additional as a place to sit and enjoy the back yard. The central vacuum makes clean up a breeze. Carpets have been cleaned, this home is ready for you to move in quickly. This is an established neighborhood with award winning schools. The home is owned by an SC licensed real estate agent. Listing provided courtesy of John Jones of Only Way Realty Greenville.